The year 2019 will go down in Thai history as one of the nation’s most auspicious occasions, as it marks the Royal Coronation of His Majesty King Maha Vajiralongkorn Bodindradebayavarangkun. His Majesty the King deems it appropriate for the Royal Coronation Ceremony to be conducted on 4-6 May 2019 for the auspiciousness of the country, in accordance with ancient Thai traditions since the Ayutthaya period. 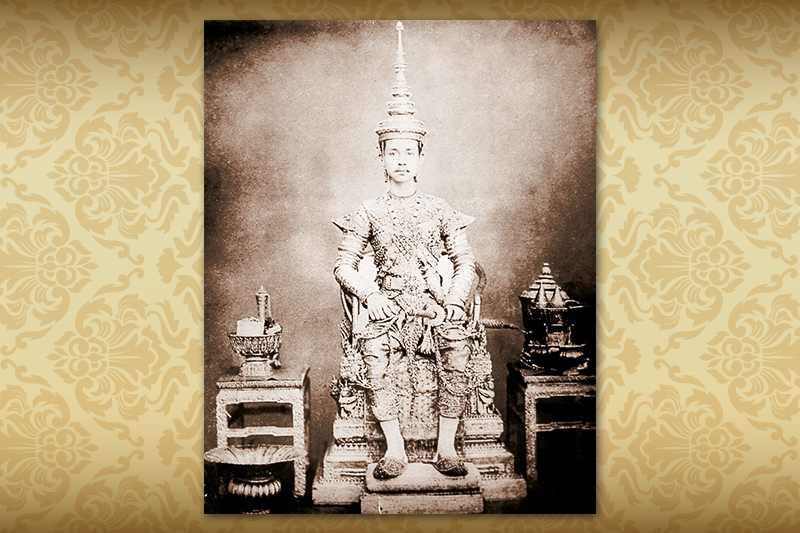 In the Rattanakosin period, the Royal Coronation Ceremony has been performed since King Rama I acceded to the throne in 1782. 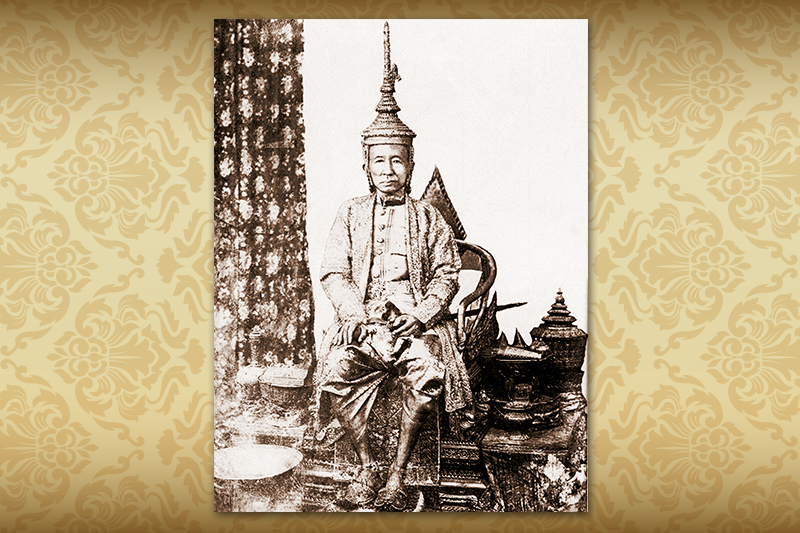 At that time, the King collected records of the coronation ceremony and created the Royal Regalia, the Royal Nine-tiered Umbrella of State, the Royal Utensils, and the Weapons of Sovereignty. 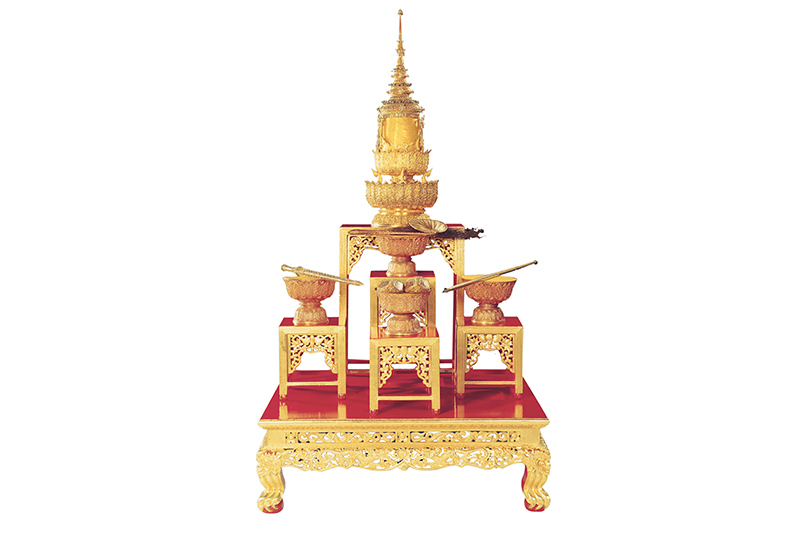 With all these ceremonial objects, the King then commanded that the Royal Coronation Ceremony be performed to complete the procedure of his enthronement. The Coronation of His Majesty King Maha Vajiralongkorn Bodindradebayavarangkun (Rama X) will be the 12th Royal Coronation Ceremony in the Rattanakosin period. 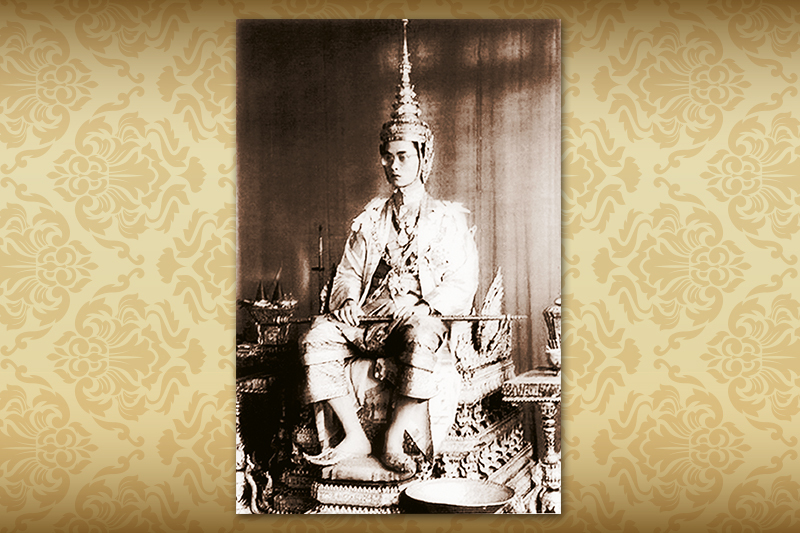 The Royal Coronation Ceremony in the Rattanakosin period has been divided into 5 major stages. The pond at Wat That Phanom. The water from this pond was taken to be consecrated at Phra That Phanom in Nakhon Phanom, Udon precinct. 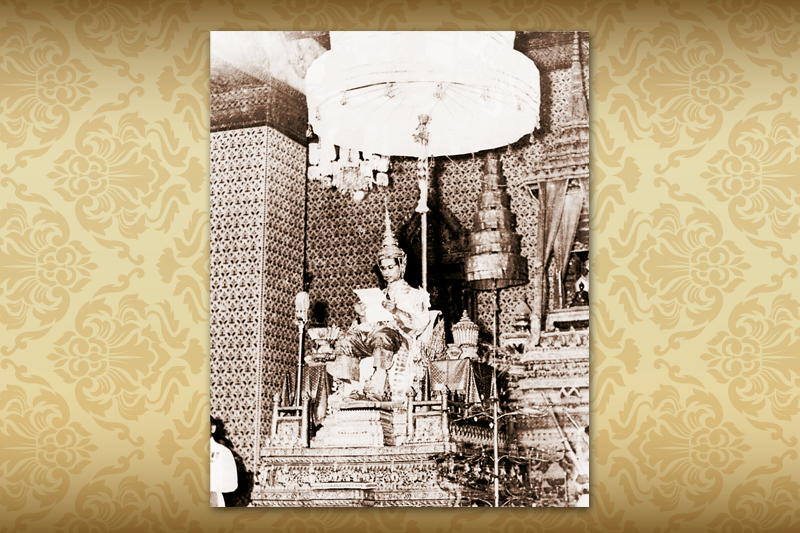 Phra That Phanom is recognised as the Great Pagoda, located in the ancient capital of Khot Bun Luang. The 2nd stage is the process of making an inscription on the Royal Golden Plaque, with the official title of the ruling King, and the Royal Golden Plaque of the King’s horoscope. The 3rd stage is called the Purification Ceremony, referring to the action of pouring holy water (Muratha Bhisek) over the head of the King. According to Brahmanism, before the beginning of any other ritual procedures of the coronation ceremony, the person must be purified through the Ablution. 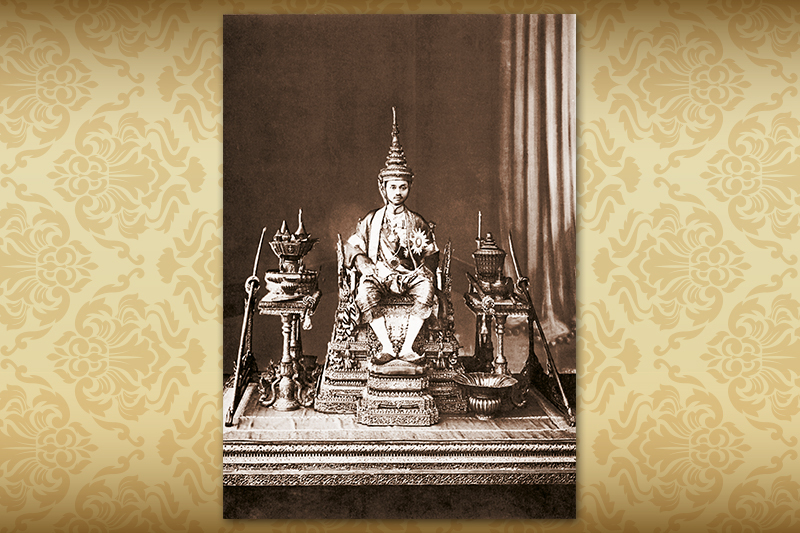 The 4th stage involves the ceremony for the presentation of the Royal Throne to the King. The 5th stage involves the ceremony for the presentation of the royal horoscope and the official title of the King. 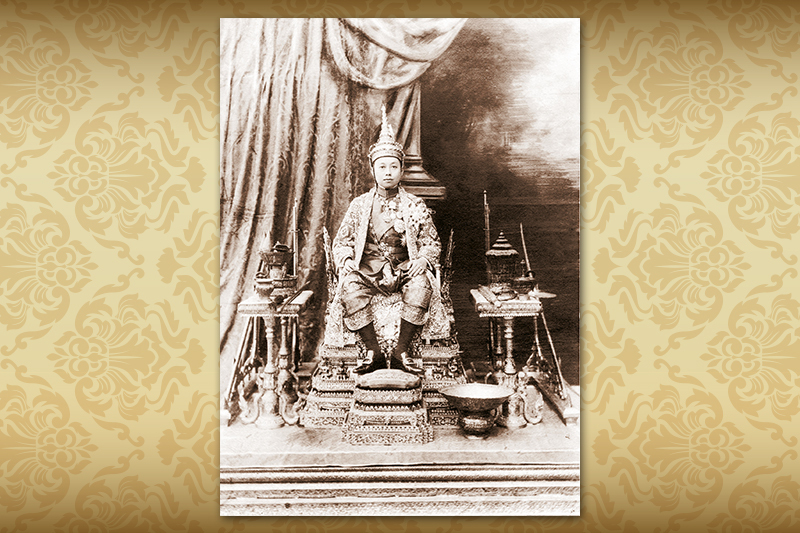 The Chief Brahmin also presented the Five Royal Regalia, symbolising the full royal authorities of the King. After receiving the Royal Regalia, the newly crowned King presented the first Royal Command. The Royal Coronation Ceremony is considered sacred and it has special significance, marking an auspicious occasion for the country and the people., who are eagerly looking forward to it with joy and the highest honours bestowed in accordance with royal traditions.